It was a Christmas miracle! After much anticipation, Netflix uploaded Avengers: Infinity War early Christmas morning. Starting off with shakier roll-out for the streaming giant, the movie apparently wasn't made available to everyone in the United States immediately, causing a bit of a stir. Being the good sports they are, Netflix offered a pretty humorous response to the situation. Once everybody started getting situated, some fans took issue with the fact Netflix labeled Thanos (Josh Brolin) an "intergalactic sociopath." 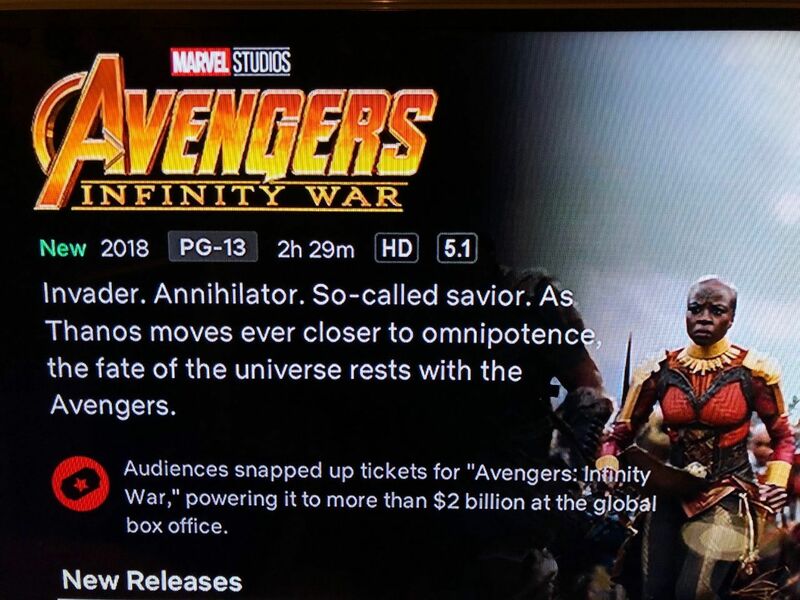 Now, the platform has changed the Avengers: Infinity War description to remove the sociopath. "Invader. Annihilator. So-called savior. As Thanos moves ever closer to omnipotence, the fate of the unvierse rests with the Avengers." The previous description for Infinity War said that superheroes were to "amass to stop intergalactic sociopath Thanos from acquiring a full set of Infinity Stones and wiping out half of all life in the universe." Joe and Anthony Russo — the masterminds behind Infinity War and other MCU hits like Captain America: The Winter Soldier and Civil War — had previously called Thanos "noble." "And he believes that will bring balance and new life and peacefulness and joy to people – and he dedicates himself to that mission. His choices are remarkably focused on that. He’s not killing people he doesn’t need to kill. He only kills people in furtherance of that goal." Is Thanos an intergalactic sociopath or not? Let us know your thoughts in the comments below!